If you’ve been on Twitter, Facebook, Instagram, or any other internet service that lets you share photos, you may have seen the name FaceApp … or at least saw some creepy photos of people morphed into younger and older versions of themselves. FaceApp is a photo-morphing app that uses what it calls artificial intelligence and neural face transformations to make creepy, hilarious, weird, and sometimes fascinating alterations to faces. The app can use photos from your library or you can snap a photo within the app. If you’ve got a huge photo library, you’ll like this: The app can scan your photo library and pull out only the photos that feature faces. 😀 Smile & 😀 Smile 2: This filter will add a smile to the face in the photo. 👶 Young: This filter will make the face younger. 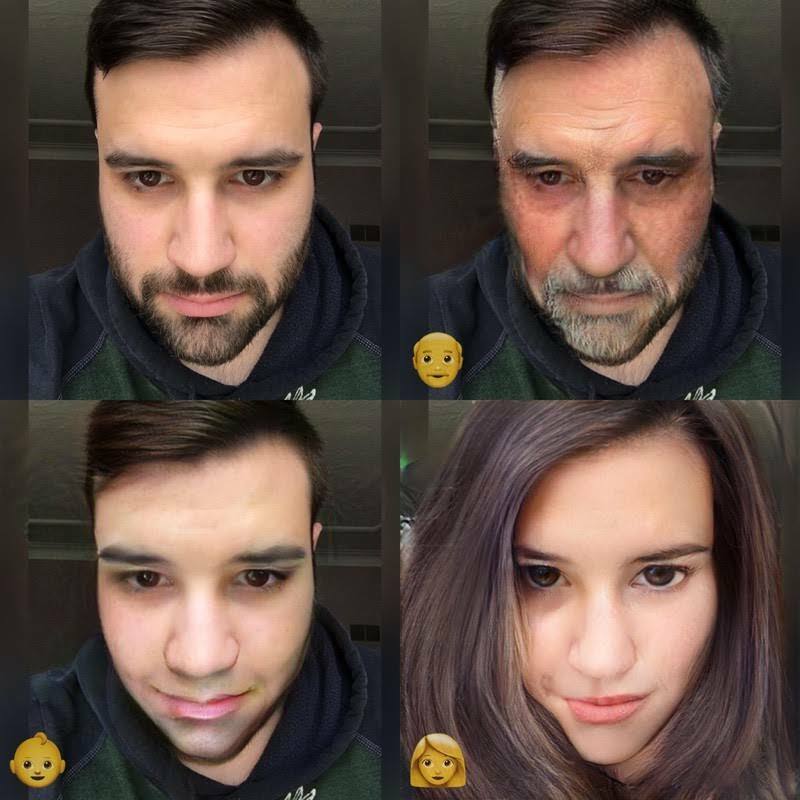 👴 Old: This filter will make the face older. 👩 Female: This filter will give the face female features. 👦 Male: This filter will give the face male features.